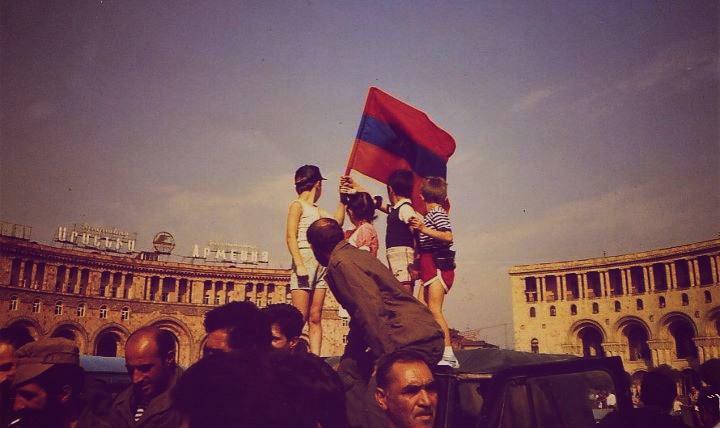 On August 23, 1990, the “Declaration on the Independence of Armenia” approved by the Supreme Council (former Supreme Soviet) of the Republic of Armenia initiated the process of independence according to the legal framework established by the Soviet Constitution, which was assumed to last up to five years. Mikhail Gorbachev, the last First Secretary of the Soviet Union, organized a referendum to preserve the Soviet Union, held on March 17, 1991, to ask whether the constituents considered “necessary the preservation of the Union of Soviet Socialist Republics as a renewed federation of equal sovereign republics.” Six republics, including Armenia, boycotted the referendum, which nevertheless had almost 70% of approval in the remaining nine republics. On March 1, the Supreme Council had issued a resolution to organize a referendum to allow Armenia to legally secede from the USSR. The preparations in the spring and summer were not only on a legal and organization level, but also took the form of an ideological struggle. The new democratic authorities led by the Armenian National Movement (ANM), which had come to power in August 1990, struggled both against those forces that considered independence a dangerous and meaningless movement, or pushed for a declaration of independence without referendum. The legalist position of the Armenian authorities and the steps taken towards the establishment of democracy were heavily praised by the international press, since they did not leave room for any opposition from Moscow and ensured an orderly transition. The month prior to the referendum was heavy in changes that impacted on the public reception: the successful resistance of democratic forces against the failed putsch of August 1991 in Russian that tried to re-establish the old Soviet order; the recognition of the independence of the three Baltic states; the proclamation of independence by the Supreme Councils of various republics, et cetera. The organization of the referendum fell upon the Central Electoral Committee headed by the vice-president of the Supreme Council, Babken Ararktsian. The referendum was orderly held and in a festive environment. 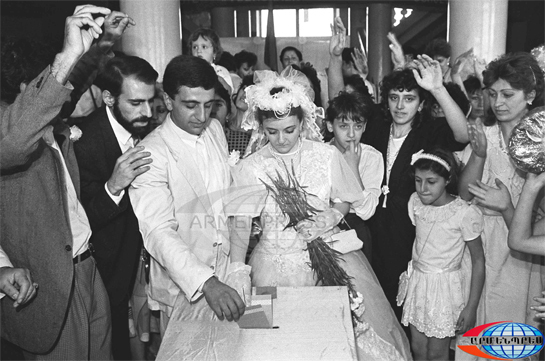 On the third Saturday in September 1991, people across Armenia left their homes to do something they had never done before: vote in a referendum. Old and young alike crowded voting stations, determined to make their voices heard. Even newly married couples, still attired in wedding garb, set aside time to cast their vote. The 117 observers invited from more than two dozen countries and international organizations did not report any irregularity and noted that Armenia was the only country holding a legally binding referendum. The Soviet Union collapsed barely three months later, on December 25, 1991, and the Republic of Armenia was accepted as a full member of the international community as a sovereign state, joining the United Nations on March 2, 1992. Meanwhile, as a result of the referendum held on December 10, 1991, the Republic of Mountainous Gharabagh had also proclaimed its independence as a second Armenian state, yet unrecognized to this day.